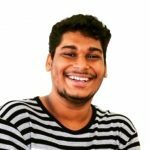 Why is Kailash Mansarovar 'A Literal Heaven on Earth'? Have you ever wondered that if there was to be a heaven on Earth, where it could be? It has to be the most beautiful place on the planet, right? Such a place where God would like to live himself! 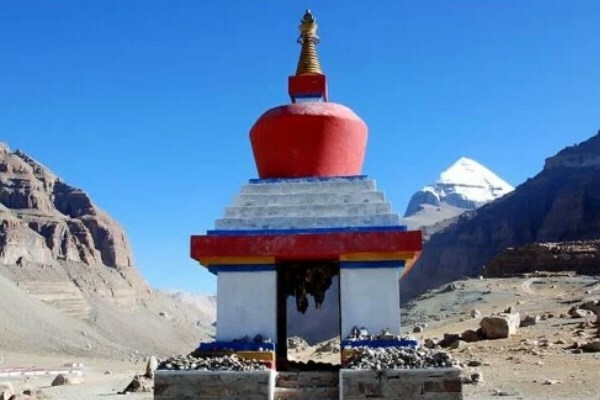 Interestingly, in four different religions, Kailash Mansarovar, named after two holy destinations- Mount Kailash (standing tall at 21,778 ft.) and ‘The Jewel of Tibet’ – Lake Mansarovar, is considered to be the abode of Lord Shiva and other celestial beings. In the Hindu religion, Lord Shiva is known to reside at Mount Kailash, as it is the holy center of the planet and a manifestation of heaven. According to Jainism, Mount Kailash, also recognised at Mount Ashtapada, is the site where the founder of the religion, Rishabhanatha attained liberation or ‘Nirvana’. Moreover, Demchok Buddhists believe Kailash Mansarovar to be a symbol of harmony. Finally, according to the Bon religion of Tibet, Mount Kailash is regarded to be a foundation of spiritual power. A major highlight of Kailash Mansarovar Yatra is just 20 kms away. 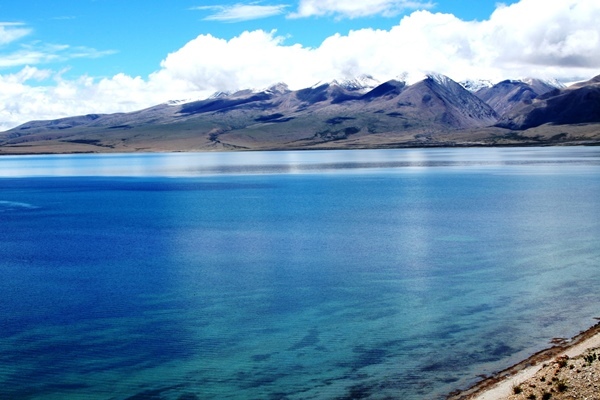 The highest (4500 m) freshwater, pure, immaculate and blue, Lake Mansarovar. It is believed that the turquoise lake was first formed in the mind of Lord Brahma where later Lord Shiva and Lord Brahma appeared here as swans. The holy water of Lake Mansarovar is said to have the power of washing away our sins. Therefore, circumambulating Mount Kailash can expunge wrongdoings. It is believed that Kailash Parikrama is comparable to the life cycle of a person, so after completing the Parikrama, one is reborn and becomes a completely different person. Hindu’s circumambulate in a clockwise manner, whereas Buddhists carry out the journey in an anti-clockwise manner. According to the legends, completing 108 Parikramas would help one attain Nirvana and free him/her from the cycle of life and death. A tour to the summit of this heaven on Earth is, in fact, an arduous, but rewarding experience. Every pilgrim on this splendid journey undergoes a humbling and enlightening change, which can only be comprehended if you encounter this Kailash Mansarovar Yatra, yourself. Several Kailash Mansarovar packages, like the ones offered by Thomas Cook, will provide you with an exceptional opportunity of embarking on this journey to Kailash Mansarovar. 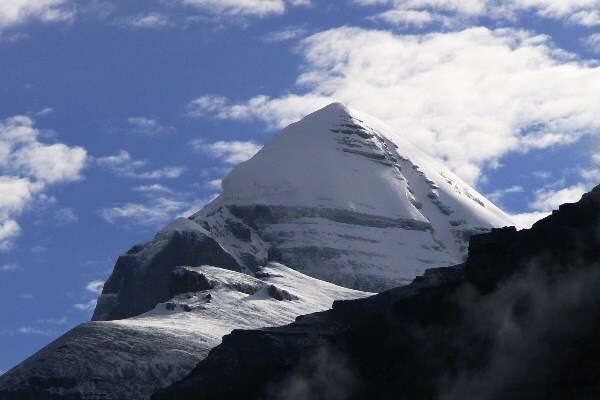 In fact, it is usually chilly during the nights and warm during the day at Mount Kailash. The Annual average temperature in Ngari is around 0℃ meanwhile during the day the temperature varies greatly. Therefore, people here are seen wearing light clothing during the day and heavy clothing during the night. 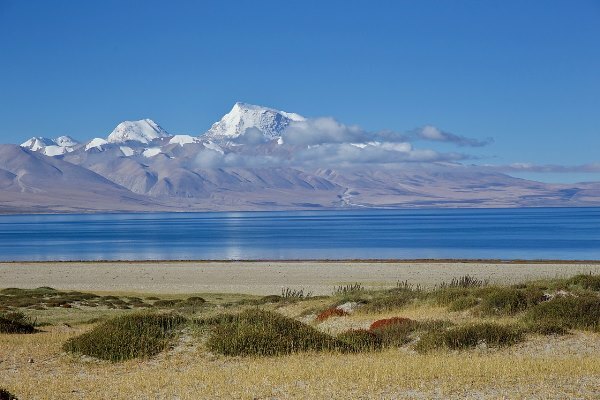 The best time to visit Kailash Mansarovar and enjoy Ngari’s charming beauty is during the months of May and June. September and October is also a very good time to visit Kailash Mansarovar. Summers- During May and June, the weather is actually very pleasant with a moderate temperature around 15℃. This is the ideal time for Kailash Mansarovar Yatra because it is during this time when the wildlife around here comes to life. Green pastures, turquoise water, blue sky and herds of cattle and sheep form a divine scene. One can see the concept of “Harmony of Nature and Man” – an idea, which is deeply rooted in Chinese philosophy, with his own eyes. Monsoons- During the months of July to September, it drizzles very little rain and the temperature drops down to 10℃. Even though cars can often get stuck in the mud and delays happen frequently, there are fewer people around here and the sights look more stunning than ever. Winters- The months from December to April have chilly days with average minimum touching near 5℃. The minimum can touch sub-zero levels to -15℃. There can be frequent snowfall during this time. Autumn- This is the time between September and October when the leaves turn yellow and a golden sea comes into view. Mount Kailash also turns golden and beautiful. This is not a difficult expedition; therefore, no particular level of fitness is necessary. Anybody can join the Kailash Mansarovar Yatra if they are medically fit and embody a strong willpower. Whoever aren’t however, can hire ponies or yaks for the trek. 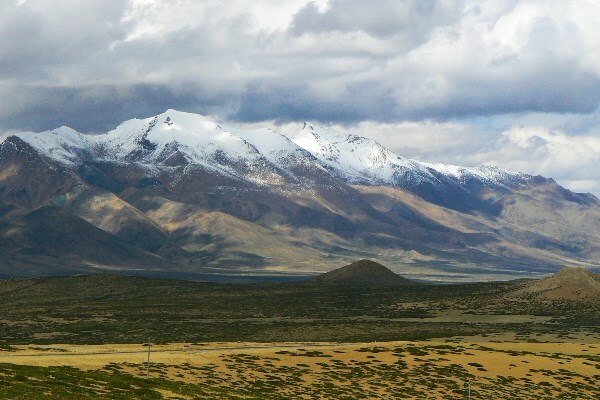 Due to the Tibetan elevation and strong UV, it is suggested to the tourists to bring sunglasses, gloves and high-quality sunscreen of SPF 30 or higher. Oxygen is less at higher altitudes. The harsh weather and high altitude may induce certain illness. Headaches, nausea, lassitude, lethargy, breathlessness, general uneasiness [malaise], high irritability, light loss of balance, disorientation, incoherence and insomnia may occur irrespective of age, gender and physical fitness. Gradual acclimatization is the best answer. Some of these symptoms indicate that the body mechanism is readjusting to new environments. Ongkor Festival has witnessed a history of more than 1500 years. Held by traditional Tibetan farmers, they thank the Gods for a good harvest season. Angkor means ‘circling around the edge of the fields’ in the Tibetian language. It is popular in Lhasa, Shigatse and Shannan in TAR. When the sunlight disperses over the golden wheat fields on the first day, farmers marc around the rims of the grounds with ears of wheat in their hands, while Lamas and seniors form an honour guard and hold a Buddha idol, whilst chanting. 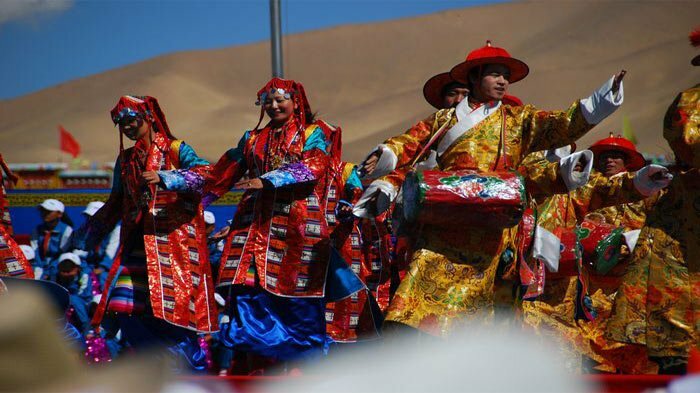 Activities like horseracing, dancing & singing and Tibetan Opera is seen. In the early days of Tibet, Zhangzhung was a kingdom dominated by the Tubo Kingdom in the 7th century. 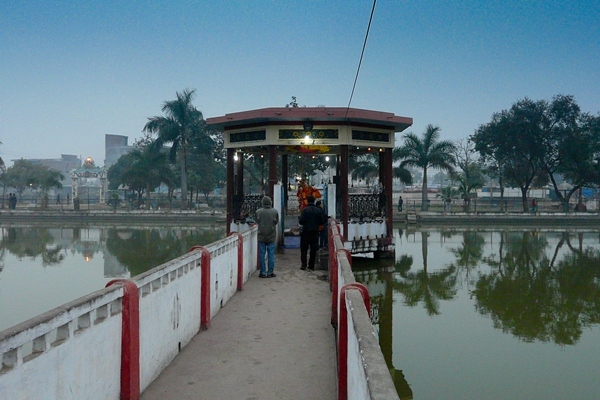 The capital of Zhangzhung Kingdom was located at the Sutlej river basin, which was the cradle of Zhangzhung culture. 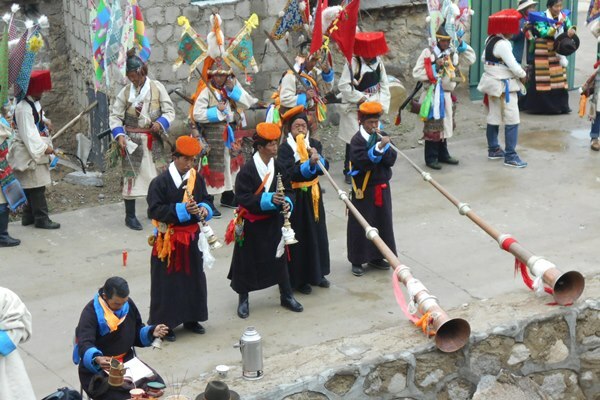 The Zhangzhung culture has remarkably influenced Tibetan customs and philosophies. This festival is organised by the local government to advocate for its rich cultural heritage. Thomas Cook can provide attractive packages to you, where you can visit Kailash Mansarovar by Helicopter or via Lucknow where you would get in through Hilsa. 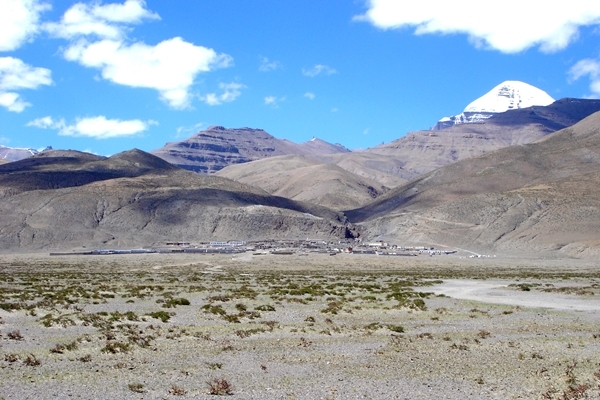 The entry point for Mount Kailash is Darchen. 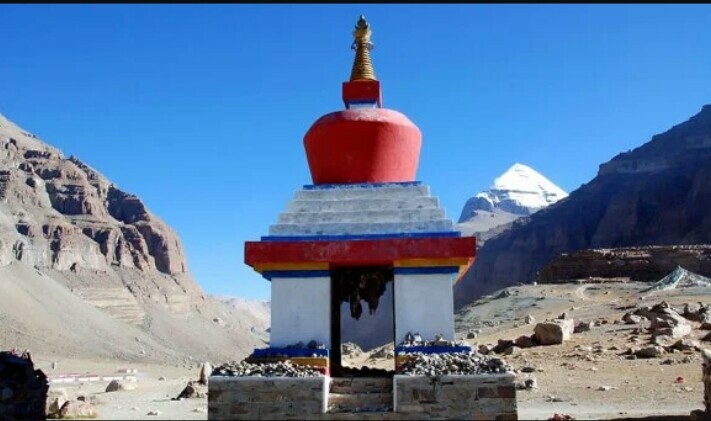 Located right in front of Mount Kailash, this is the starting point for pilgrims going on the Khora. Depending on the way tourists get here, they can visit various places before the Kailash Mansarovar Yatra. It is usually a 10-11 day trip, so there have to be some fun things to do along the way, right? Under Lord Buddha’s watchful gaze, traversing Kathmandu is a pupil-dilating experience. Beware; your senses might not be able to handle the uproar of sights, sounds and smells around here. 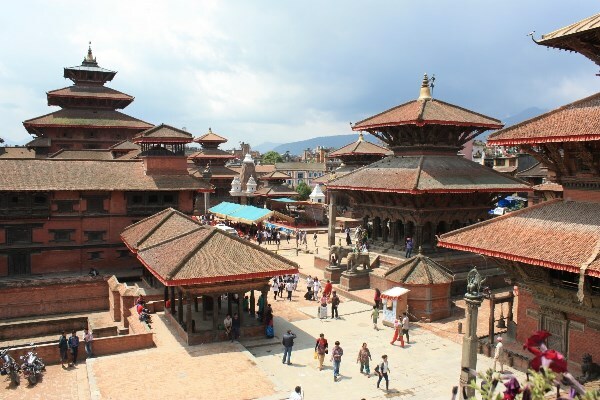 Fly through the alleyways in the back of a tuk-tuk, see the splendid sights of the medieval temples and ramble through the backstreets of Kathmandu’s timeless cultural and artistic heritage, overflowing with brilliant marigolds, courtyards and workshops. If it is cool, take a walk to the perfectly symmetrical Svayambhunath Stupa, it is one of the most iconic sites of Kathmandu. Circle the stupa clockwise, stop to peep into all the little shrines around the outside and spin the prayer wheels. 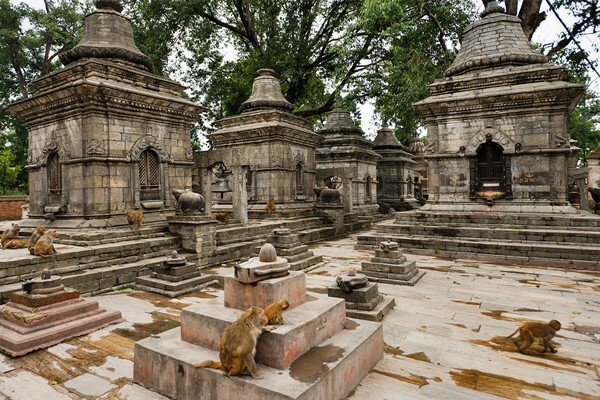 Alternatively, maybe you can explore the Patan Darbar Square, filled with temples, statues and a large palace building that now holds the splendid Patan Museum. If you feel like shopping, you should head to Pulchowk. You can either walk here from Durbar Square in around half an hour or take a taxi from the Mangal Bazaar side of the square. Breeze through a contrast of fair-trade and multi-story shops, that sell crafts, such as shawls, pottery, jewellery, hand-printed bed linen, rugs and hand-made paper, predominantly made by women artisans. If you still have some energy left, seek out some live music in Thamel. There is always a cover band or a dance group here. Nepalgunj, being an ethnic city has people belonging to various communities living together. One can observe the various art forms and the cultures of the diverse communities consisting of Hill-Nepalis, Indians, Muslims and Buddhists. 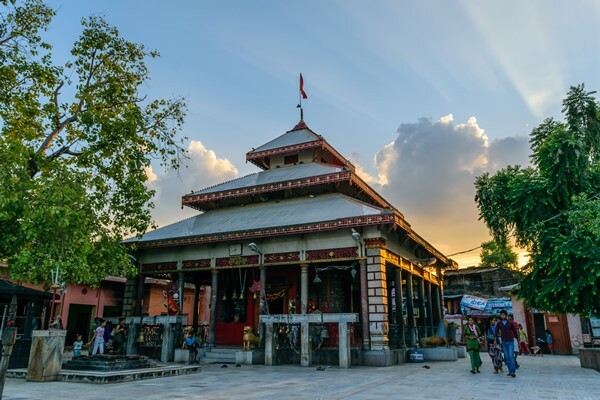 In the center of Nepalgunj, Shaktipith Jaya Bagheshori temple is one of the most essential Hindu temples here. Goddess Bagheshori is also known as Goddess Durga, a principal Hindu warrior Goddess. The Shaktipith Jaya Bagheshori temple houses another temple inside, a temple of Lord Shiva, with a moustache. This is one of the very rare temples to depict Lord Shiva and Lord Vishnu with facial hair. Other temples include a temple of Lord Ganesha, Lord Buddha and Lord Hanumana. This place is believed to be a miraculous because of the stories of marvels that have happened here. The most formidable temple complex In Nepal, Pashupatinath temple is believed to be one of the four most religious sites in Asia. One of UNESCO’s world heritage sites. It is not known for certain when this was built, but it is believed that the temple exists since the millennium when a Shiva lingam was discovered here. The Guhyeshwari temple is believed to be the set of divine power of Pashupatinath temple. Built by King Pratap Malla in the 17th century. Guhyeshwari temple is important for Hindu, Tantric and the followers of Vajrayana Buddhism. People visit Simikot mostly because of the Simikot Airport. Other than that, Simikot has a marvellous display of Humla architecture. The houses are terraced or multi-story and contain this incline where one family’s rooftop is the yard of the other. Smoke from the fireplace goes through the stack opening on the roof. The people here do not have very complex needs, so the houses here have minimum provisions in them. Essentially for cooking and sleeping. 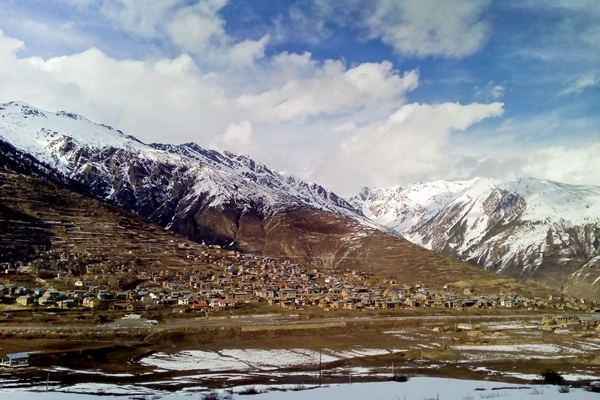 Situated right in front of the Holy Mount Kailash, Darchen is a small village at the foothills. Due to its convenient location and proximity to Mount Kailash, Darchen has many visitors every year (on an average of 100,000 people). There are various sweet teashops in Darchen. Utter tea is a popular option. To stay warm, the locals recommend consuming Butter tea. Situated in Tarboche at a height of approximately- 15,000 feet, Yamdwar is the starting point of circumambulation of Mount Kailash. People pray to the ‘Yama’- The God of Death to let them pass the bridge in order to continue the circumambulation and to let the deceased people pass across the bridge, in their spirit form. So, are you ready for some incredible experiences? Submerge in the sights of towering monasteries, yak caravans leisurely wandering over snowing passes, and the mighty Himalayas.